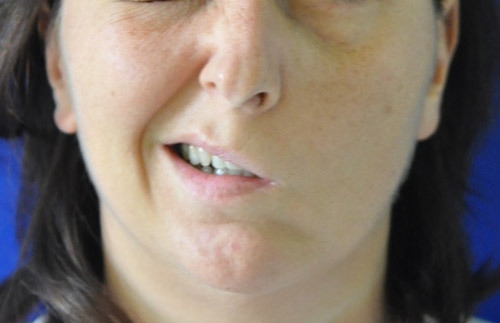 Facial paralysis causes both aesthetic and functional problems. The face is altered at rest and this worsens during smiling or active facial expression. 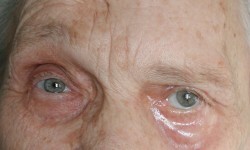 The biggest functional problems are related to reduced lubrication of the eyes because of eyelid paralysis. If the onset of palsy is recent, facial nerve function can be re-established by a microsurgical connection to the masseteric. 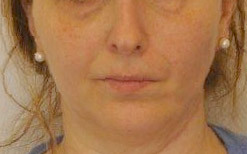 If the paralysis is long-standing, it is typically necessary to transpose healthy muscles from other parts of the body to provide mimetic muscle function. 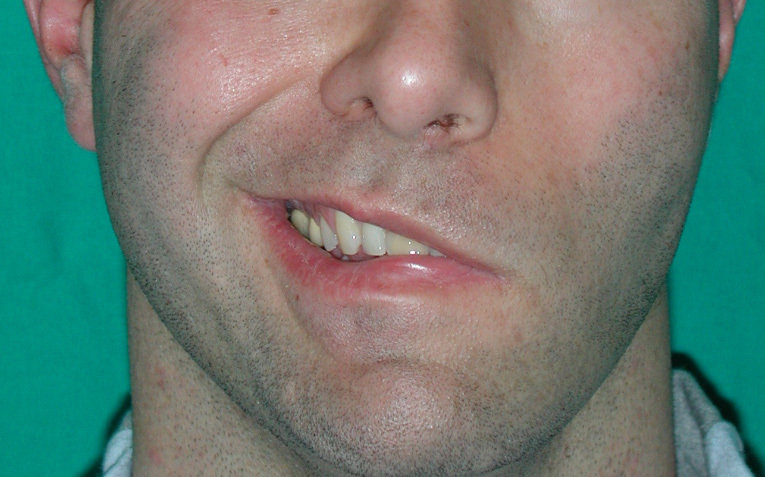 Facial paralysis can be a debilitating condition from psychological, aesthetic, and functional points of view. 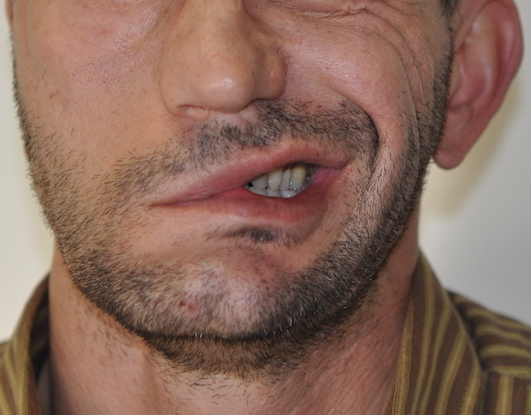 Those affected by such pathology suddenly see the disfigurement of their face and often lose self-confidence in their social life. 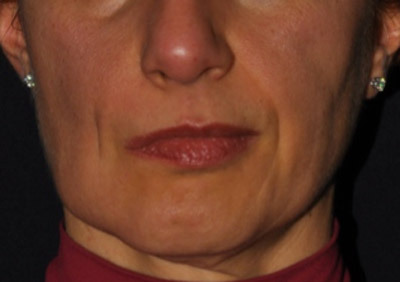 The tissues of the face on the affected side (bilateral cases are rare, and primarily congenital, as in Moebius Syndrome), no longer supported by the underlying mimetic muscles, tend to collapse as if there had rapid aging on only one side of the face. 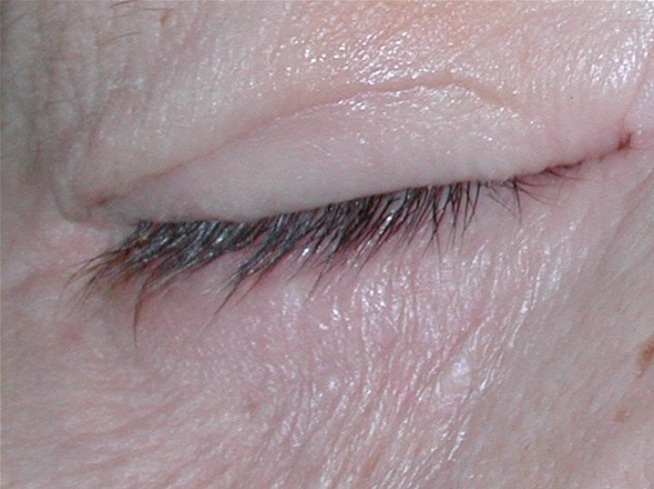 This is less evident in children because of the elasticity of their skin, but is evident in adults and the elderly. 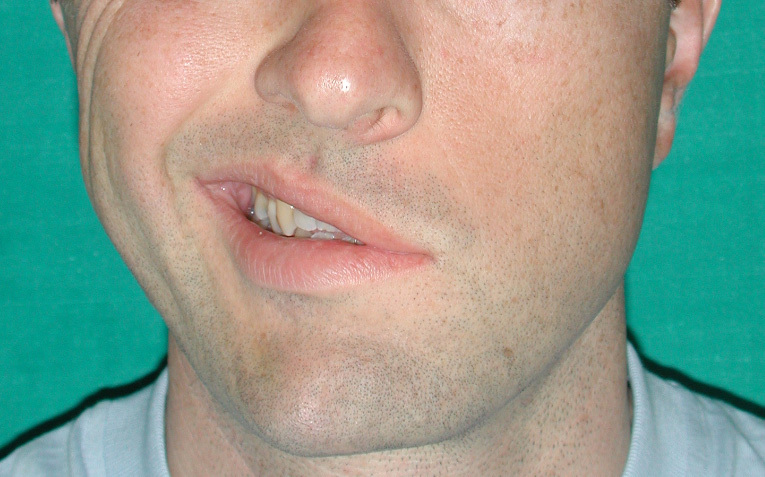 The tissues of the forehead, eyebrow, cheek, lips, and submandibular region literally fall downwards (ptosis). Spontaneous closure of the eyelids and, moreover, blinking (constant involuntary eyelid closure), essential to lubricate the eyes, are lost. Nasal breathing from the side of the lesion is hampered by collapse of the nostril, no longer dilated by the lateral nasal muscles. 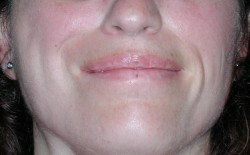 The tone-free cheek is often unintentionally chewed and interferes with appropriate voice function. 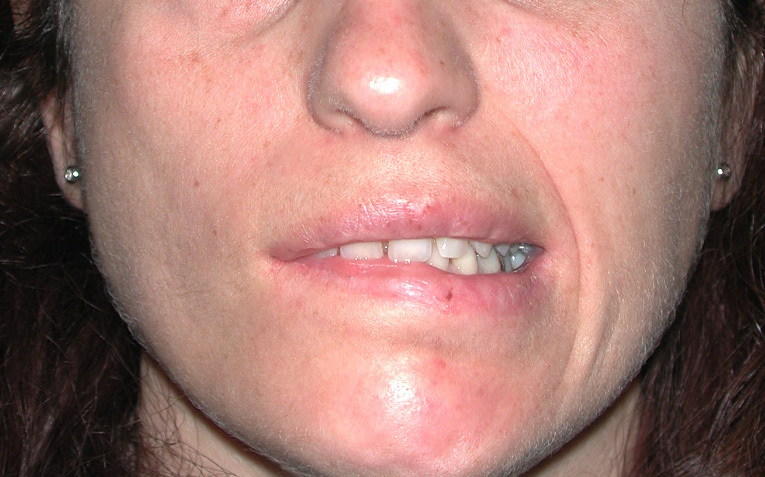 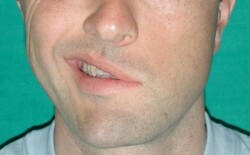 Sometimes, food, particularly liquids, is not retained completely due to incomplete lip closure. 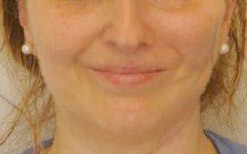 The most evident feature of this pathology is the inability to smile, because activation of the mimetic muscles on the healthy side increases the deformity of the face, and patients often prefer to hide this with a hand. 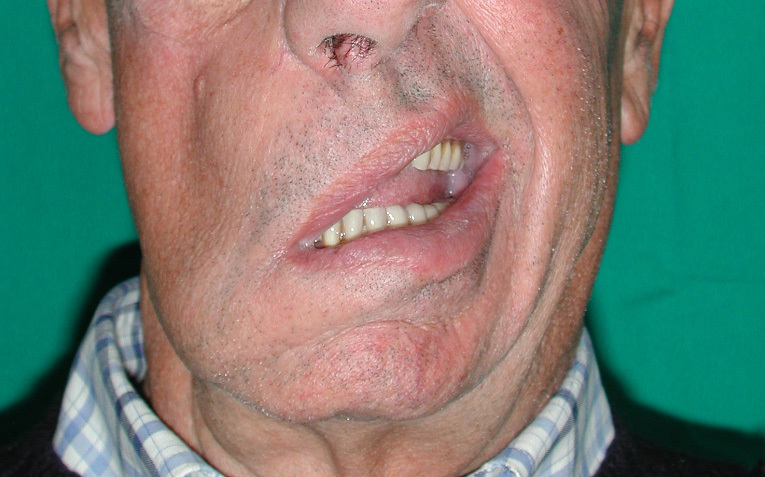 The treatment of this disease is extremely specialised and, to achieve optimal results, in depth knowledge of the pathology is essential, as is mastery of the most sophisticated techniques by the microsurgeon, to offer a patients the most up-to-date and customised, designed solution. 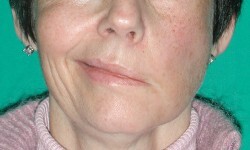 For simplicity, treatments can be divided into non-surgical, early surgical, and late surgical. Medical treatment, surgical or not, is reserved for situations where the nerve has the potential to recover its function spontaneously, as in cases of Bell’s palsy or post surgery, in which the continuity of the facial nerve was preserved. 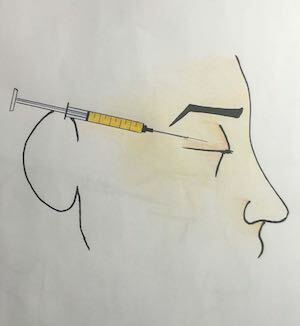 The therapy is based on the administration of corticosteroids, antiviral drugs (in cases of Bell’s palsy), neurotrophic vitamins, and/or mild electrical stimulation. 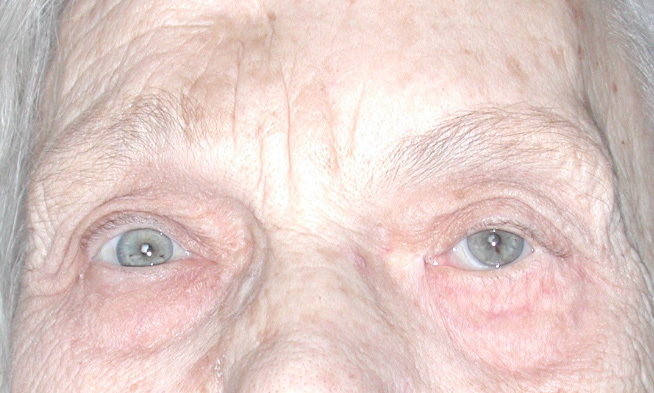 During the entire process of nerve function recovery, the patient should be monitored closely by the physician, and repeated serial electromyography examinations should be performed. 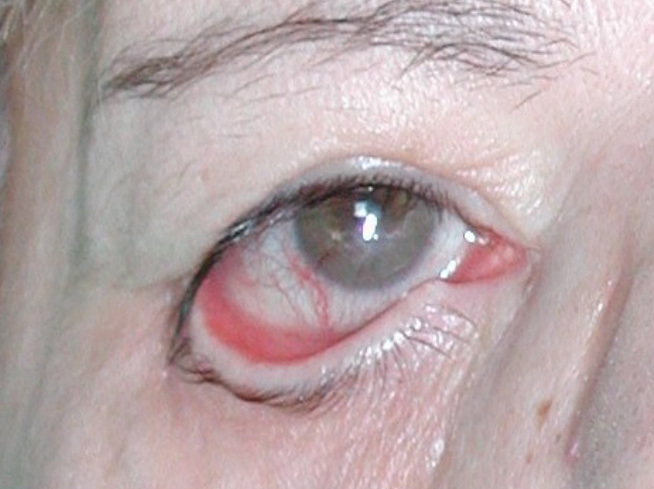 Eyelid incompetence may cause corneal lesions. To avoid this, the patient must use artificial tears and highly protective glasses. 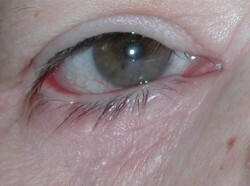 It may also be necessary to perform a temporary tarsorrhaphy (eyelid closure in anticipation of nerve functional recovery) or to temporarily apply a small weight to the upper lid. 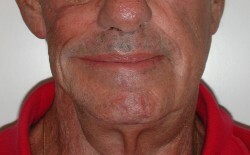 These procedures are temporary because long-term remedies must be much more refined. 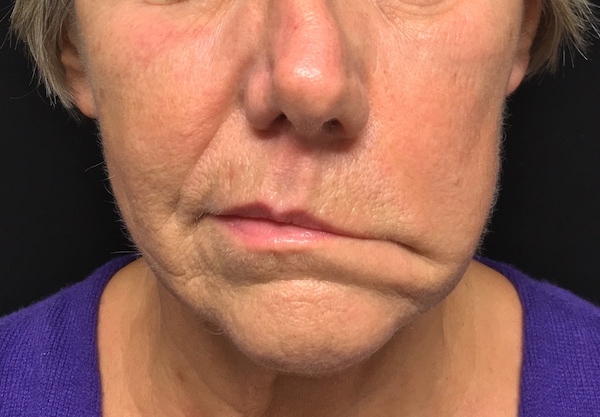 If at the end of the phase of spontaneous nerve recovery, facial spasms and/or synkinesis (involuntary movements of the face related to aberrant nerve regeneration) occur, the use of botulinum toxin, selective neurectomies, and other means can improve the clinical picture. 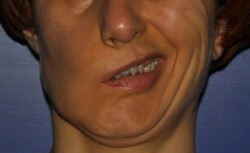 After major surgery for facial reanimation has taken place, minor remaining defects may be addressed under local anaesthesia. These most frequently include reducing eyebrow drooping, enlarging the eyelid, and addressing slight ptosis in the upper lip. Early surgery is carried out by directly microsuturing the facial nerve severed during parotid or skull base operations, or because of other trauma. 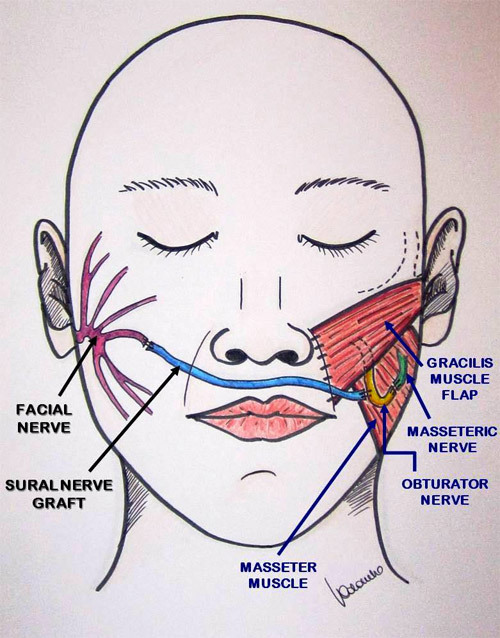 If a tract of the facial nerve is missing and the two stumps of the facial nerve do not come into contact with each other, a less important nerve, such as the suralis, may be used as a graft to bridge them. When direct repair of the facial nerve is not feasible, usually after brain or skull base operations, a new motor source is required. The hypoglossus nerve, responsible for lingual motility, has long been the nerve used for this purpose (hypoglossus-facial anastomosis), but the side effects are considered too serious because of consequent deficits in the motility of the tongue, swallowing, speech, and chewing. 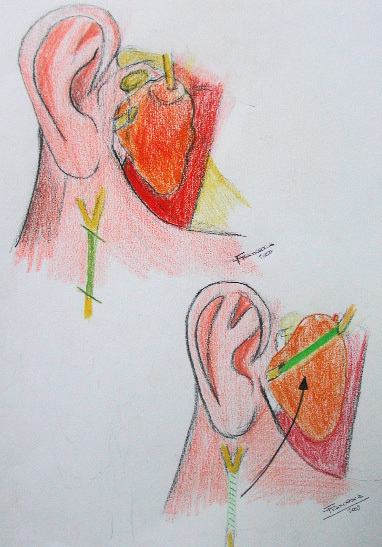 It is surely preferable to perform an anastomosis with the masseteric nerve, which leads to similarly positive results but carries almost no negative consequence for the patient. 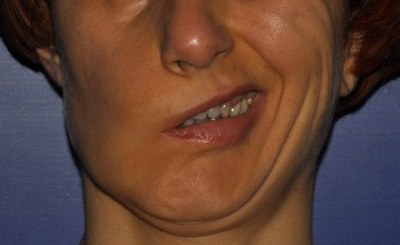 Late surgical treatment is so called because it is executed beyond 18-24 months from the onset of palsy, when the mimic muscles have atrophied irreversibly. 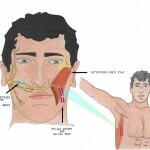 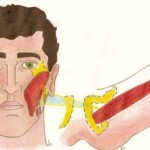 In such cases, it is futile to provide new neural input to the facial nerve using a donor nerve, like the masseteric. 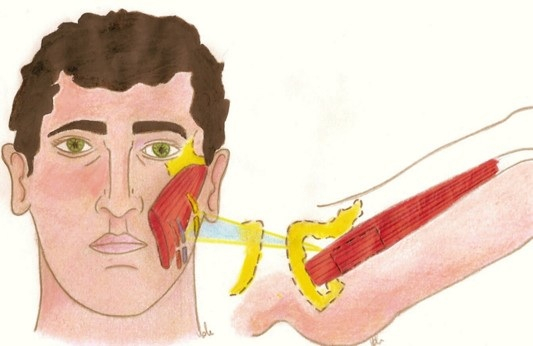 The better choice consists of transferring, microsurgically, into the face segments of healthy muscles taken from other sites in the body (typically, the latissimus dorsi and gracilis muscles). 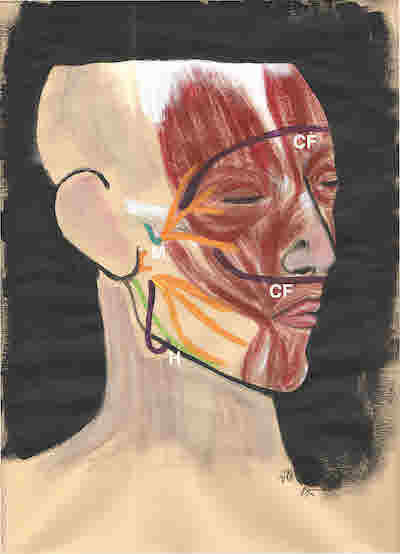 The neural stimulus is provided by a neural connection with the healthy facial nerve of the opposite side of the face (not paralysed), rather than the masseteric nerve or the deep temporalis. 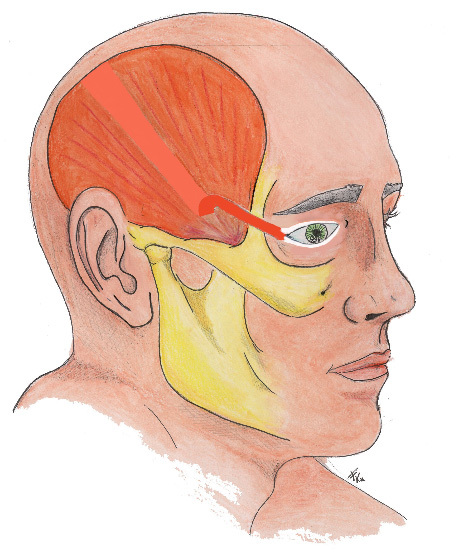 For eyelid reanimation, a small temporalis muscle flap is rotated or the thin platysma muscle is transposed after harvesting from the neck. 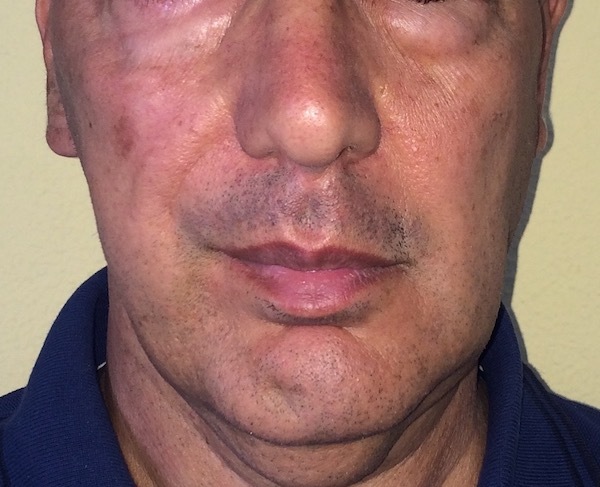 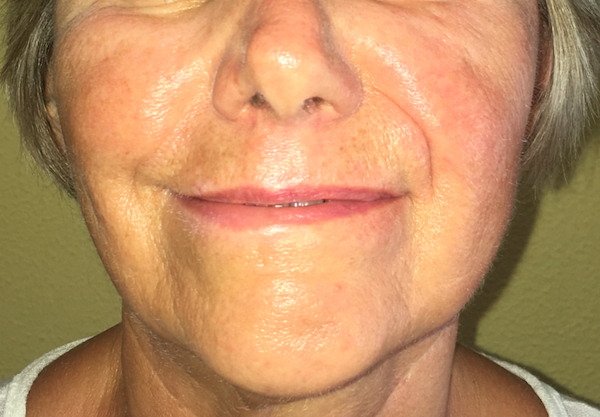 In the recent facial paralysis, the triple innervation technique devised by Dr. Biglioli allows to restore the function of the nerve through an aesthetic incision usually utilized for the face lifting. 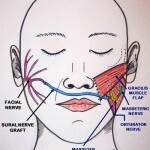 Three connections are made between the paralyzed facial nerve and the masseteric nerve, 30% of the hypoglossus nerve and two branches of the facial nerve of the opposite side. – The spontaneity of smiling due to a “connection” with the facial nerve on the non paralysed side of the face. 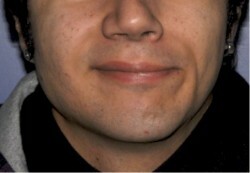 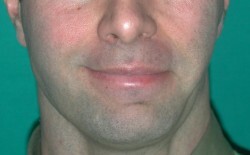 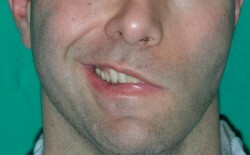 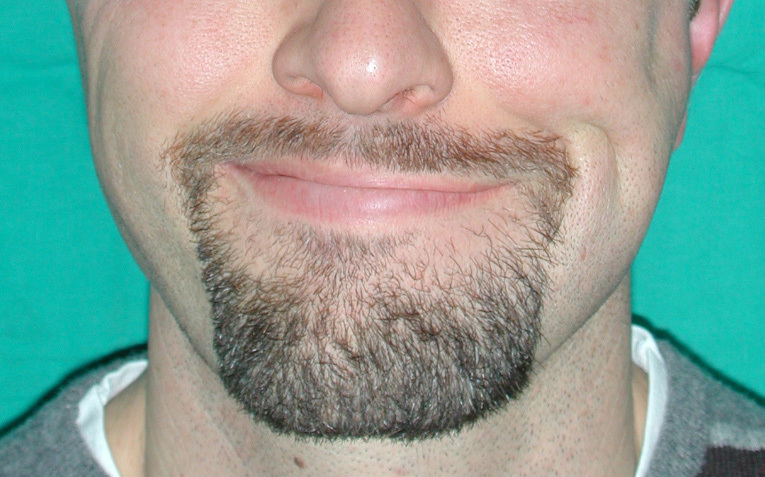 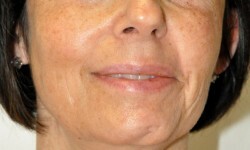 Asymmetry of the face before surgery; the defect worsened while smiling. Asymmetry of the face for left facial paralysis. 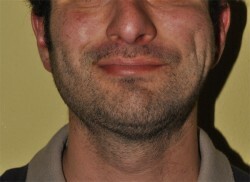 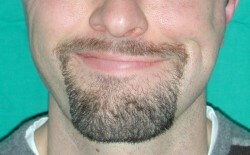 Worsening of asymmetry when smiling. 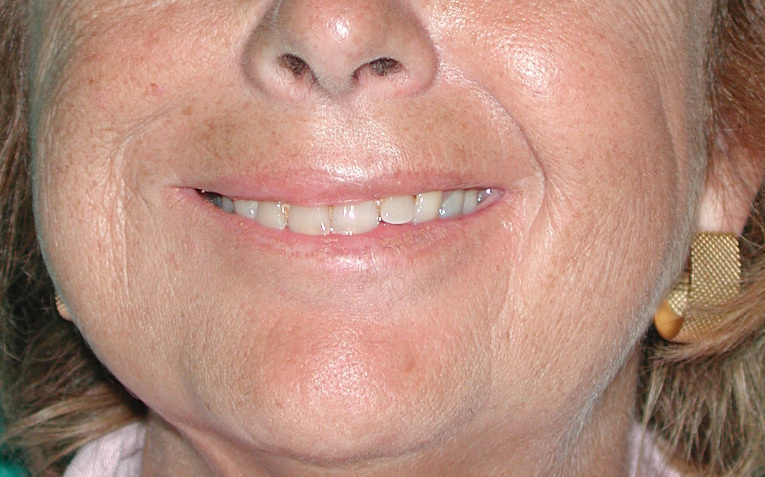 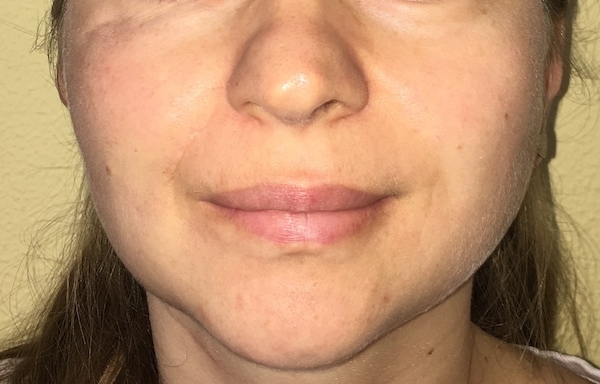 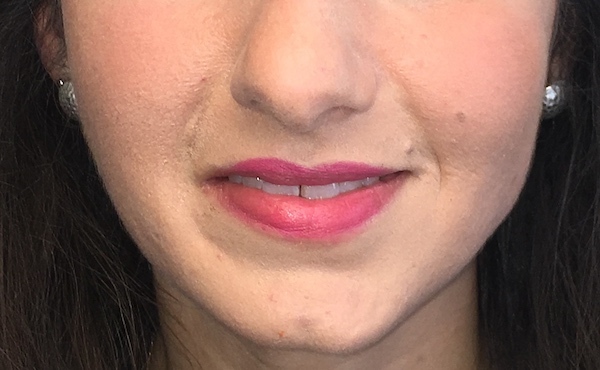 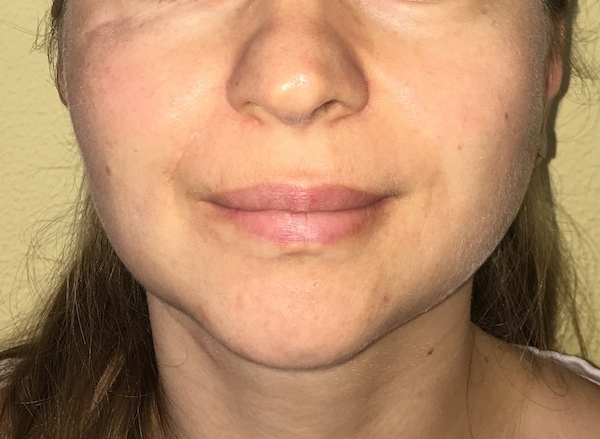 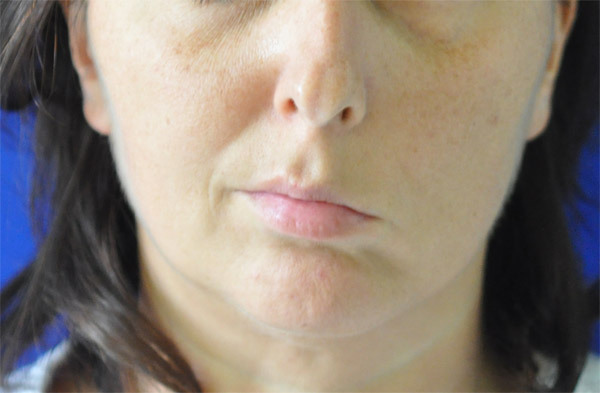 Recovery of facial symmetry after surgery. 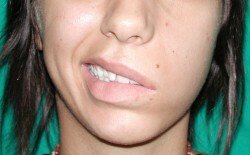 A well-balanced smile obtained after surgery. 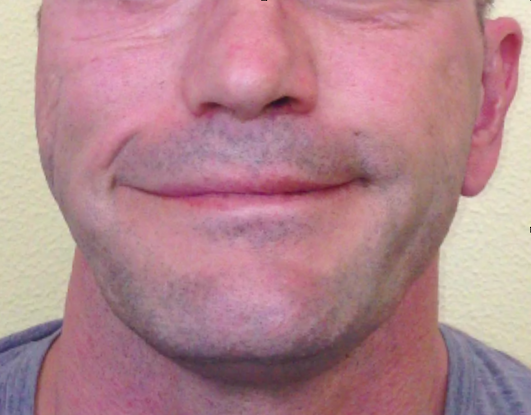 Evident asymmetry of the face preoperatively and during activation of the mimic muscles. Long-standing facial paralysis on the right side of the face: asymmetry of features at rest. 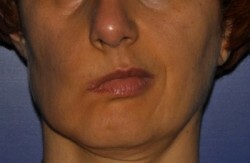 Symmetry of features after surgery. 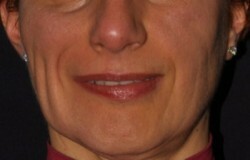 Worsening of the asymmetry of the face during smiling before corrective surgery. In selected cases, the rehabilitation of smiling may be done through the transposition of a latissimus dorsi muscle flap. 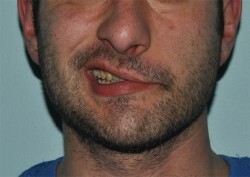 The gracilis flap with double innervation is a variant of the single innervation flap, still valid in selected cases. 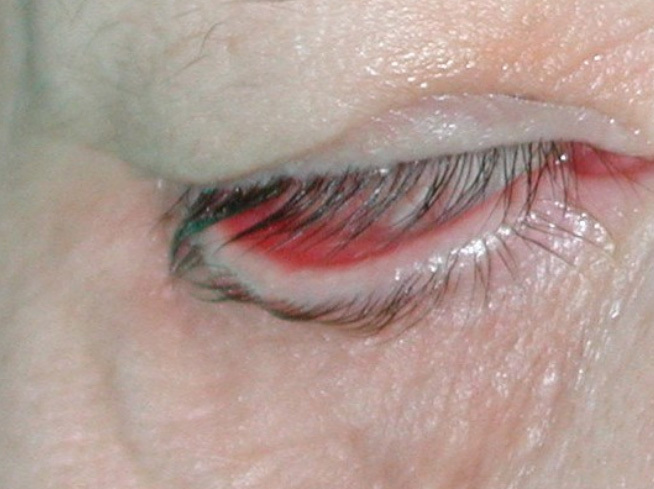 Eyelid lubrication is the most serious functional problem that, if not properly addressed, can lead to severe corneal irritation and pain, reduced vision and, in most severe cases, blindness. The simplest remedies such as using artificial tears, humidifying the air at home and covering the eye at night may just partially help. 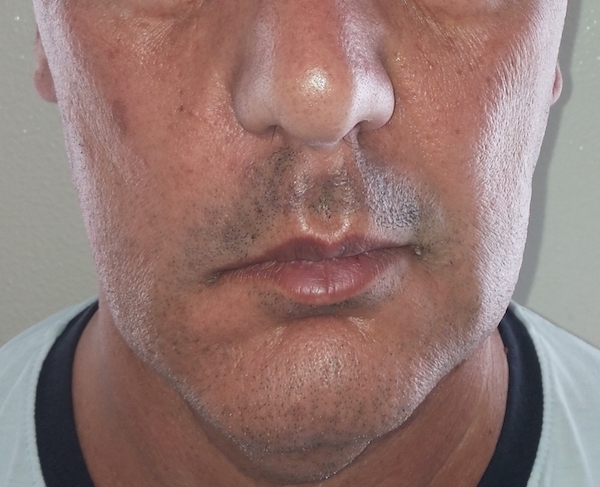 The most effective immediate remedy, however, consists of the weighting of the eyelid with an injection of its own fat through a small operation under local anesthesia called lipofilling. 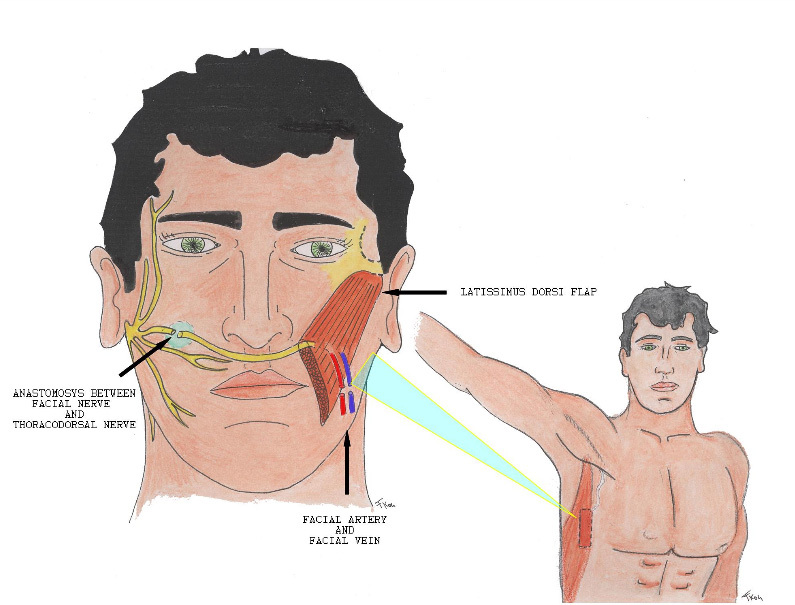 Other possible surgical corrections, which however require general anesthesia and longer application times, are platysma muscle transplantation and temporal muscle rotation. Complete eyelid closure was achieved after surgery. Severe right eyelid paralysis, limited preoperatively by a tarsorrhaphy (performed at another centre). 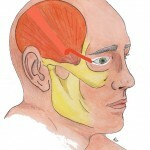 Surgical correction of eyelid paralysis is often addressed by rotating a small temporalis muscle flap. 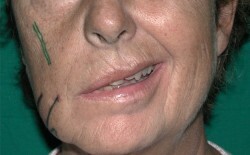 Small residual defects after the main surgery can be corrected by minor operations under local anaesthesia. PARALYTIC ECTROPION: ITS CORRECTION BY A MINOR OPERATION UNDER LOCAL ANESTHESIA.